First-ever patented Chair Cape™ that celebrates Spider-Man. Spider-Man's eyes and a web is prominently displayed on the red cape with the spider emblem and webbing shown on the adjustable red chair strap. 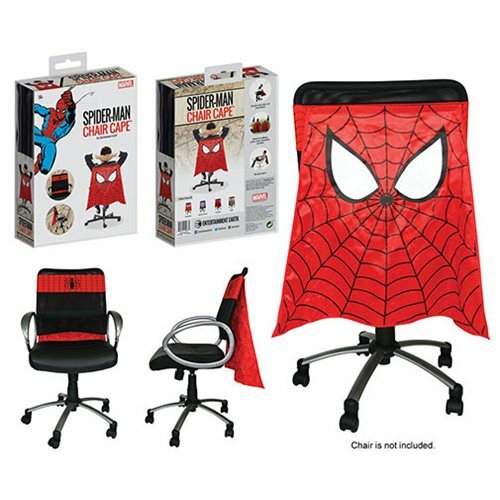 Measuring 24-inches long and 30-inches wide, this Marvel Spider-Man Chair Cape will transform your tame chair into a seat fit for a hero ready to save the day! Ages 14 and up.